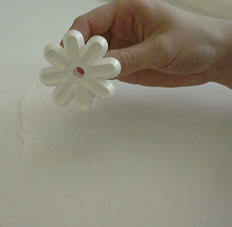 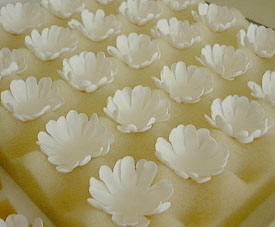 Roll out the white sugarpaste with added gum tragacanth very thinly on a lightly cornstarch dusted work surface. 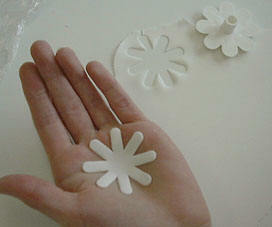 Cut out a daisy flower shape using the daisy cutter and place onto the palm of your hand. 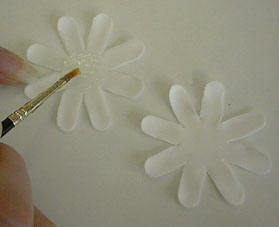 Using the bone tool gently ball each individual petal of the daisy. 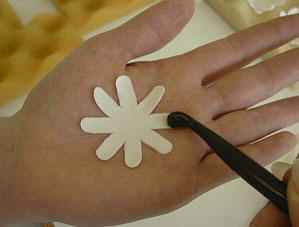 ... place it on top of the other. 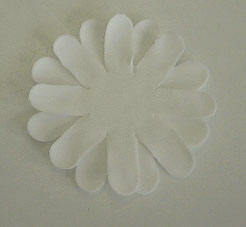 Place the two into a cupped former such as a foam fruit divider and leave to dry.